When the need for a truck accident attorney rises, be sure to go for a reputable firm with lawyers who are knowledgeable about the truck laws in the state. Rawa Law Group is one of such law firms and we are committed to helping injured persons get a settlement for the pain, suffering, trauma, and damage to property that resulted from the accident. We have successfully represented hundreds of claimants in Long Beach and have helped these claimants receive compensations of hundreds of millions. 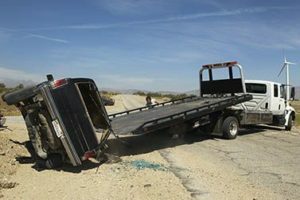 Our legal practice is ethical and strictly by book but our truck accident attorneys in Long Beach knows the tact to maximize your claim settlement. We offer you personalized representation with rapt attention to your critical needs. You can also request to be met at the hospital or home and one of our attorneys would pay you a visit. If you want to pay us a visit, we have flexible appointment hours. Our over 55 years of collective legal experience and the ethical legal counsel we offer, has made us a revered legal firm in California. You don’t pay a cent till we have secured you the maximum compensation recommended by law. Our zero upfront fees help you feel more relaxed knowing we are going to be working extremely hard to ensure we get paid. If you need a dependable truck accident attorney in Long Beach get in touch with us today and we would be happy to take up your case. With our free case evaluation, you get professional legal advice and outstanding legal representation. Visit our office below.